Sony has announced the lineup of free PS Plus games for February 2019. 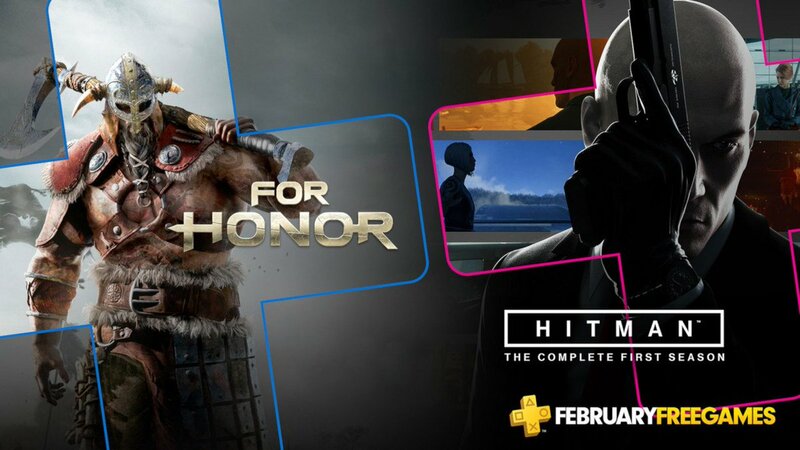 For PS4, subscribers can get For Honor, which drops gamers into the chaos of a raging battlefield during an ongoing war between three Great Factions: the bold Knights (the Legions), the brutal Vikings (the Warborn) and the enigmatic Samurai (the Chosen). The second free PS4 title for members is Hitman: The Complete First Season. Take on the role of Agent 47, the world’s ultimate assassin. Travel the globe to eliminate your targets in traditional and less traditional ways. On PS3, members can download Metal Gear Solid 4: Guns of the Patriots. Set in a battle-scarred future where huge conglomerates fight for supremacy using armies of hand-picked mercenaries, an older Solid Snake has been charged with infiltrating a number of key locations across the globe. The second free PS3 title is Divekick (cross buy with PS Vita), a two-button fighting game with 14+ Playable Characters, story mode, and multiplayer. And on PS Vita, members can download Gunhouse - part puzzle, part active tower defense, as you make big combos to launch a hail of bullets and special attacks at the alien invaders who would like nothing better than to consume your delicious orphan friends. The second free Vita offering is Rogue Aces, an arcade flight game where you liberate the islands from The Baron and his dreaded pilots. Both Vita games are cross-buy with PS4. This month’s PS3 and PS Vita games are the last to be offered as part of the PS Plus monthly games lineup, and future games will only be for PS4. Any PS3 and PS Vita games you’ve already downloaded, or will download, prior to March 8, 2019 will still be part of your PS Plus games library as long as you remain a member.